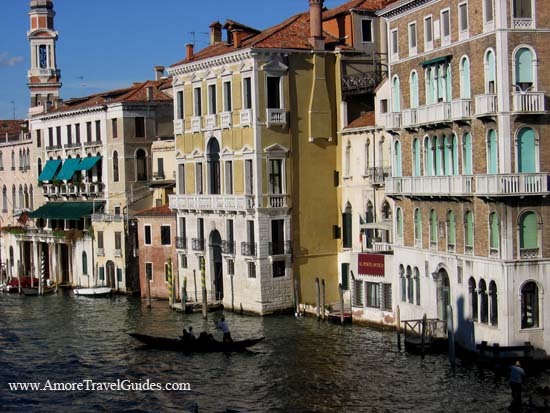 The video above includes a voice narrated walking tour of the medieval Tuscan city of Lucca, Italy. 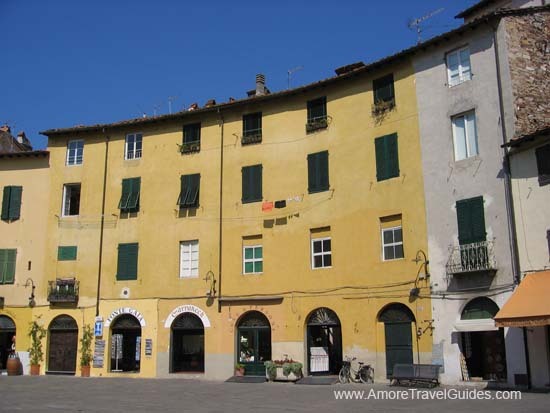 Lucca, Italy is a town of narrow streets, small shops, family owned restaurants and friendly people. In other words it is like most of the small towns you find in Tuscany. What makes Lucca unique is that it is surrounded by walls that have paths you can walk on and it has a tower with trees growing on top. It can be almost as confusing to find your way through the winding streets of Lucca as it is in Venice. In Lucca, rather than heading toward a canal you go towards the walls. Most of the streets in Lucca are now open only to pedestrian traffic. You can stroll the streets and window shop in the many stores some with names you know while others are small family owned shops. 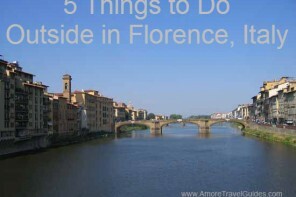 If you are looking for a day trip from Florence, Lucca is a great option. Since Lucca is on the way to Pisa if you are pressed for time you could spend the morning in Pisa and the afternoon in Lucca. 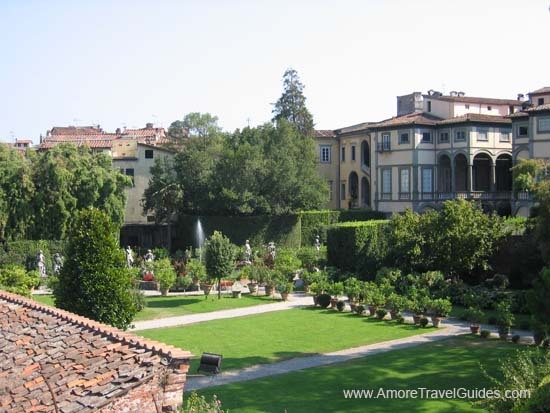 If you prefer to stay in Lucca, there are a number of nice hotels both inside the walls and out. Lucca is an old city founded a couple of hundred years BC. The Piazza dell’Antifeatro is what survives of the ancient Roman amphitheater. Today the amphitheater is lined with small shops and reasonably priced outdoor cafe’s. In fact, I had one of the best Pizza’s of my life in Lucca at a restaurant called da Gherardo in the Piazza dell’Antifeatro. A wall was built around the city in the 16th and 17th centuries. Now you can walk, bike or jog around the tree lined promenade on the top of the walls. The walk along the walls is about 2.5 miles (4 km) long and is wide enough for wheelchairs and baby strollers though you will have to push them up fairly steep ramps to get to the top. There are ramps every half a mile or so allowing you to get to the top of the wall and back down as you wish. From the top of the walls you can see the Torre dei Guinigi with oak trees growing on top of the tower. 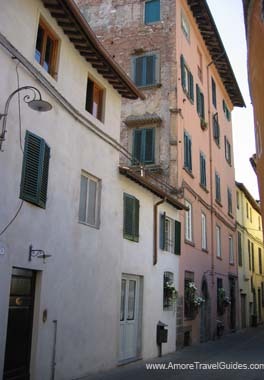 The Casa di Puccini is the 15th century house where the composer was born. Today there is a museum celebrating Puccini’s life that is open to the public (closed on Monday). 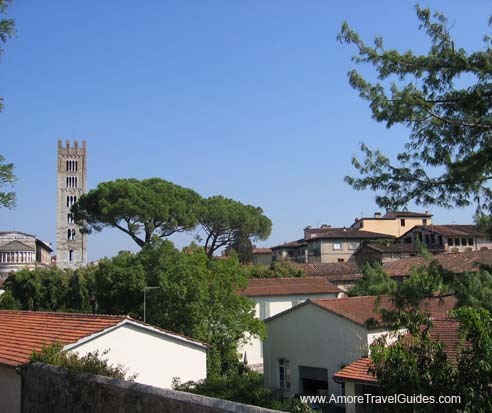 Other sites in Lucca include the Duomo de San Martino, San Michele in Foro, San Frediano, San Pietro Somaldi, Museo Nazionale di Villa Guinigi, Museo Nazionale di Piazzo Mansi and a bell tower offering a beautiful view of the surrounding area. There are also three gardens: the Palazzo Pfanner, the gardens at Villa Bottini and the Giardino Botanico which is visible from the wall. There is a great tourist information office near one of the main entrances just inside the walls. Here you can get a map and speak with someone who can help you plan your day (they also have clean rest rooms). 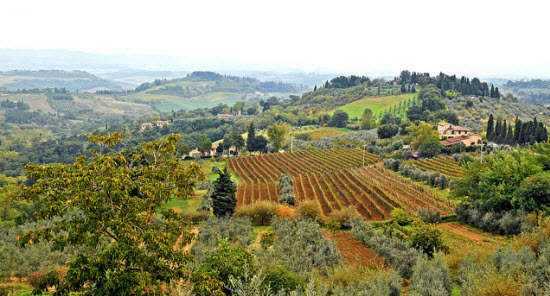 It usually takes about an hour on the local train to go from Florence to Lucca. 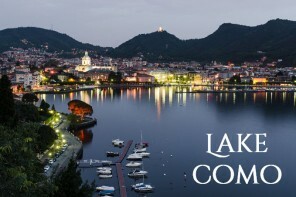 It is an easy walk from the train station into the city of Lucca. 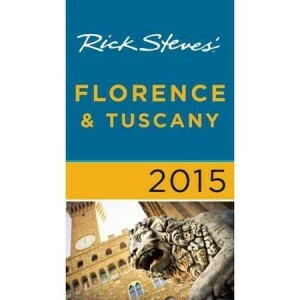 For Amazon reviews, pricing and availability for The Wanderer’s Guide to Lucca click here. 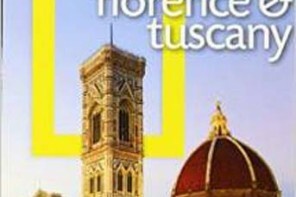 Lucca Italy Tourism Travel Guide with Directions, History, Facts & Best Things to Do - Florence Italy Day Trip.